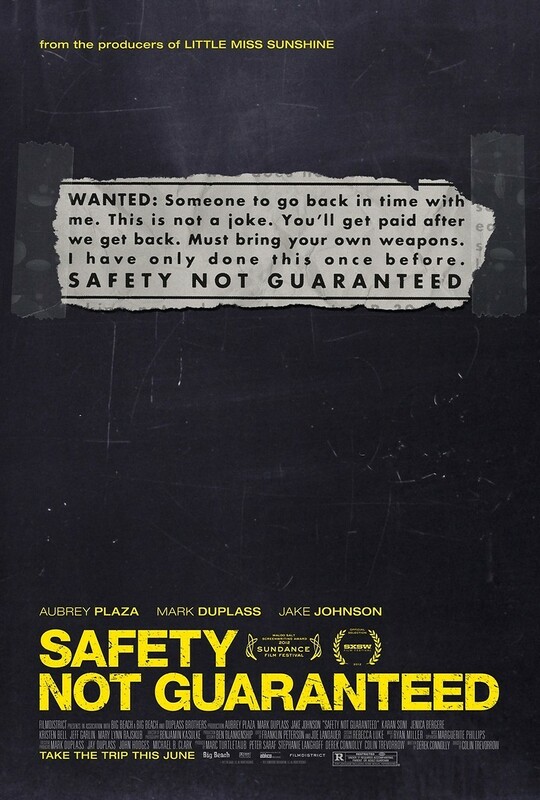 Safety Not Guaranteed DVD and Blu-ray release date was set for October 30, 2012. Seattle intern Darius is given an assignment to look into a mysterious advertisement placed by a would-be time traveler. She brings along another intern, Arnau, and a staff member named Jeff when she goes to a town to interview Kenneth, who placed the ad. During the trip, it comes to light that Arnau craves an intense experience, and Jeff is still love with a girl from high school. Darius focuses on Kenneth, who is convinced he has actually created a machine that travels through time. As they bond, Darius is not certain if Kenneth is unstable or if he will succeed in his endeavor.